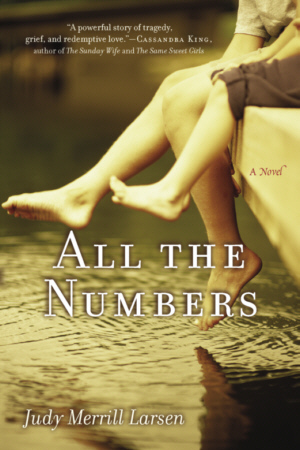 In ALL THE NUMBERS, author Judy Merrill Larsen skillfully takes us through every parent’s worst nightmare as she brilliantly explores, through fiction, how love makes us vulnerable and how very isolating yet very human is the desire for revenge. A trial takes us to a highly charged ending in which, in an unexpected turn, Ellen reconciles the pain of an irreversible past with the duty ahead. This emotionally true first novel is sure to appeal to readers of The Good Mother by Sue Miller, A Map of the World by Jane Hamilton, Midwives by Chris Bohjalian, and all readers of good women’s fiction.